Raita is a cooling yogurt-based Indian sauce with cucumber and mint. 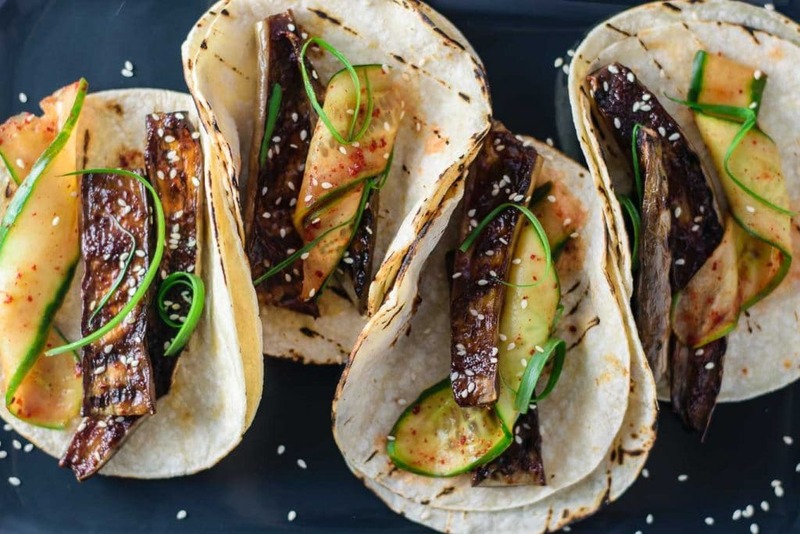 This vegan version is quick and easy to make and tastes just like the original! Yogurt is a cornerstone of Indian meals, it’s served alongside the spicy curries to temper the heat. It can be served plain, which does the trick, or made into raita for something extra special. 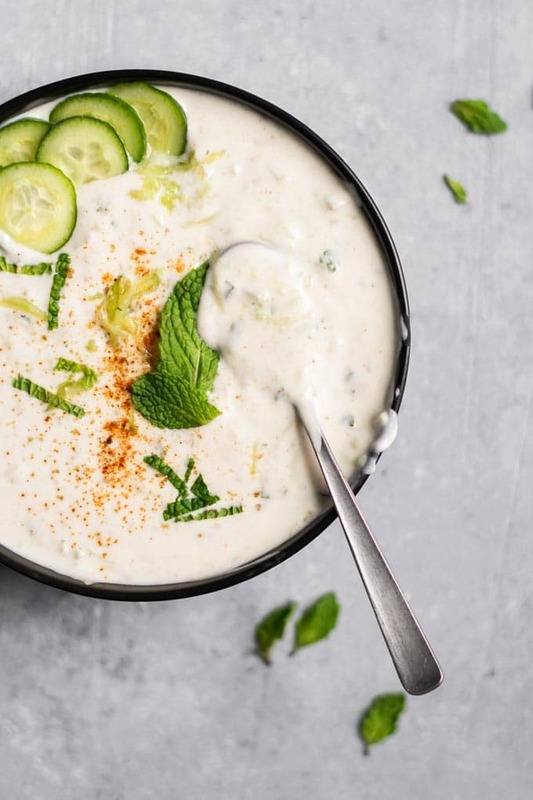 Raita is an Indian yogurt sauce, full of cucumber and mint plus a few spices….